The new extension includes new male and female toilets as well as a fully compliant disabled persons toilet facility, which could include baby-changing apparatus. The layout allows for the community/assembly room, kitchen, Welcome Club store, plant room and store to be kept shut and locked whilst the toilet facilities remain available for use. This would allow these toilets to be used on match days and then securely locked via the external door when the complex is not in use. The new community/assembly room has triple aspect visibility to the North, South and East and is larger than the existing room. 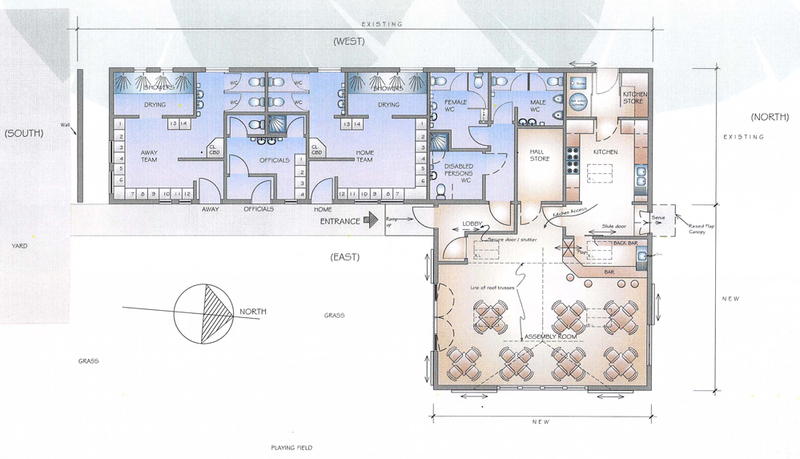 The scheme also increases the size of the Welcome Club storeroom to allow for improved table and chair storage. The kitchen and bar facilities have generous space with a separate food service counter away from the bar counter area and a serving hatch to the outside in the North elevation. The new building is a small barn-style structure with roof spaces open to the ridge. Externally, the roof would match the existing pavilion roof and it should be noted that this has been improved visually by the incorporation of hip ends. The rooms in the altered and extended building may be further enhanced by the introduction of roof lights, fitted with anti-vandal metal grilles to ensure maximum security. They would provide good levels of natural daylight internally. The single door currently positioned on the Northern elevation has been moved to the Western elevation to give higher levels of security. Shutters are proposed to the new window openings in the extension to minimize the potential problems from vandalism. Laminated glass would be specified for the external glazing to prevent glass shattering. The orientation of the building would provide a very pleasant place to sit and watch sport and the room could be used for a variety of other pastimes. A terrace could be laid alongside the new extension with tables and chairs for sitting out on sunny days. 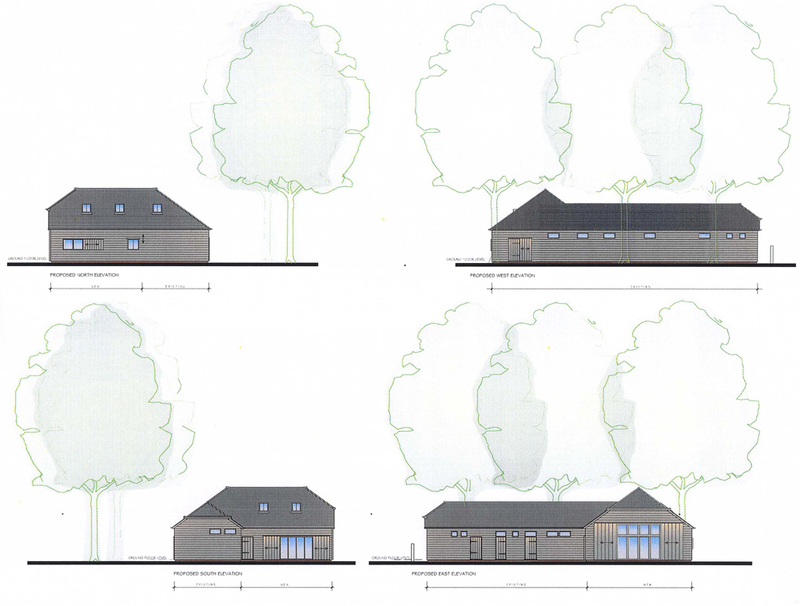 It can be seen that the new extension dominates the existing structure and forms a vernacular styled building, wholly befitting the countryside setting.